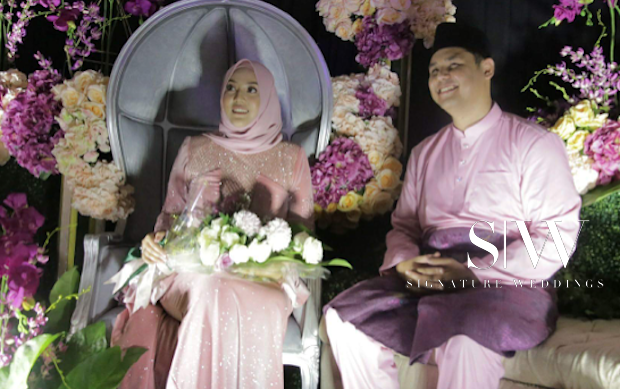 Shila Amzah, a Malaysian singer who rose to fame in the international Chinese entertainment scene for winning the Asian Wave reality singing competition in 2012, got engaged to Haris Idraki Elias last night in an intimate ceremony at her home. Until now, she is the only Malay singer to ever break through into the Chinese entertainment market. Her accolades include Best Female Singer (Hong Kong and Taiwan), Top Five Most Popular Female Artiste and Top 10 Song at the Music Pioneer Awards in China last year. According to her father, ND Lala—who is also a singer, Haris is a family friend who asked for her hand in marriage a few months ago. “I approved because he’s very down-to-earth and our families have known each other for a long time,” he added. Haris previously worked with The Star, a Malaysian news publication, and now works in the financial sector in London. “I’m feeling so excited. I was nervous, we both were,” said the Mandopop star. “He understands my world, my job, and my career. He’s very loving toward me and my family and it has been amazing. We can’t wait for our future together,” added Shila. 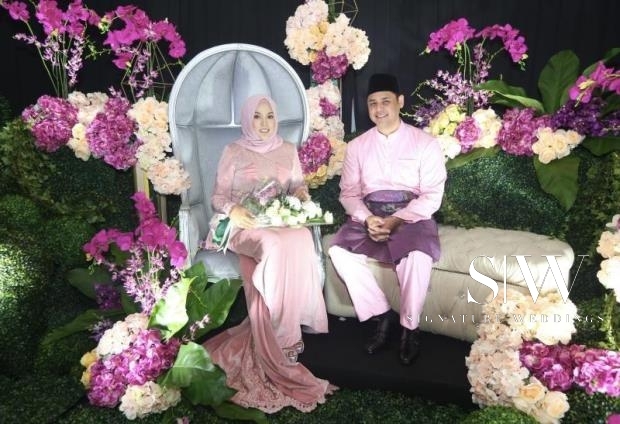 “We both started dating in August, and our parents even started skyping each other and we managed to arrange the engagement tonight,” said Haris. “Shila is such a supportive person and it’s been really easy. Shila and I have such a good understanding, and I think that’s really important for us,” added Haris. The wedding is set to take place sometime next year and we can’t wait for the couple to announce the date. Congrats to Shila and Haris on this special occasion!